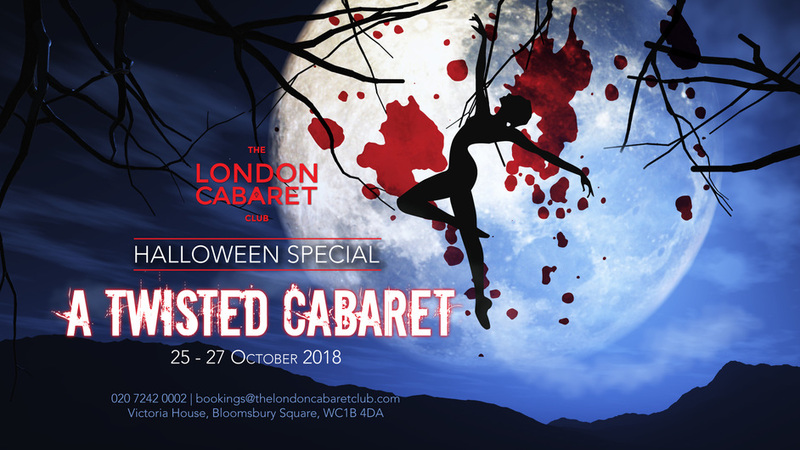 The London Cabaret Club is putting on a weird and wonderful showcase for the scariest season of the year with a Twisted Halloween Special featuring spine-chilling contortionists and spooky dance spectacles. You'll be greeted by a host of spirits and transported through a tunnel of fear into the 1920s-haunted ballroom. While enjoying the ghoulish cabaret show, you'll be treated to seasonal menu of pumpkin risotto, parmesan, kale crisps, beef tartare, quail egg and parmesan shavings. Finish with oozing chocolate fondant and chilling vanilla ice-cream, homemade profiteroles with dark chocolate sauce and passion fruit tartlets. Try the trick or treat cocktails at the bar and you can choose from the Flaming Zombie with passionfruit and rum and mini smoking Pumpkin Vodka Martinis. What are the best dining options near The London Cabaret Club Twisted Halloween Special London? The London Cabaret Club Twisted Halloween Special gyms, sporting activities, health & beauty and fitness. The best pubs near London The London Cabaret Club Twisted Halloween Special. The London Cabaret Club Twisted Halloween Special clubs, bars, cabaret nights, casinos and interesting nightlife. Where to have your meeting, conference, exhibition, private dining or training course near The London Cabaret Club Twisted Halloween Special. From cheap budget hotels to luxury 5 star hotels see our deals for The Bloomsbury Ballroom hotels, including The Buckingham London from 82% off.